Each and every month on Squeaky Books I feature 6-8 upcoming releases. At the beginning of every month, the novel with the most amount of votes will be given away. Fun times, eh? You can vote for the March books from March 1st - March 31st at 7:59pm MST. That's the same timeframe you have to enter to win this month's book, Bumped. On April first I'll post the April giveaway and March winner. No joke! There are some SERIOUSLY good books coming out in April/May. Remember that you should vote "Yes!" on EVERY book you would want to win, not just one. 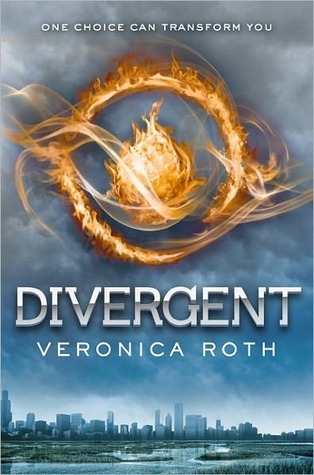 Do you want to read Divergent? She thought there was something wrong with her. She was right. Finley Jayne has known for quite some time that she isn’t ‘normal,’ but when she beats up the son of her employer and is forced to flee, she stumbles into a world where there are bigger freaks than her. They take her in, treat her like family and demand her trust. How can Finley trust them when she can’t trust herself? And why is she drawn to the powerful Griffin as well as the dangerous Jack? She has to get herself under control before she gets into trouble she can’t get out of. Griffin King is one of the most powerful men in Britain but he couldn’t save his best friend from almost dying. He is determined to save Finley and help her become the person he knows she can be, but there’s evil afoot in London. Machines have attacked humans under the orders of a nefarious criminal called The Machinist. He has sworn to protect his country against such a threat, but he’s never faced any foe like this. However, when he discovers The Machinist’s connection to his past, Griffin vows to end the villain once and for all — but he’ll need the help of all his friends, including the beautiful Finley Jayne – the girl in the steel corset. 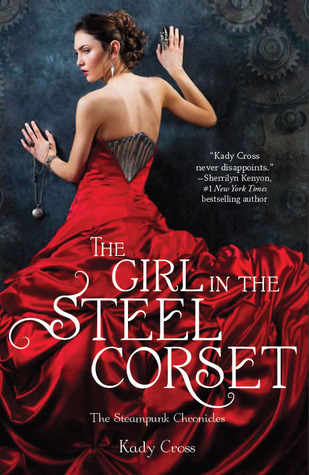 Do you want to read The Girl in the Steel Corset? Gwyneth Shepherd's sophisticated, beautiful cousin Charlotte has been prepared her entire life for traveling through time. But unexpectedly, it is Gwyneth, who in the middle of class takes a sudden spin to a different era! Gwyneth must now unearth the mystery of why her mother would lie about her birth date to ward off suspicion about her ability, brush up on her history, and work with Gideon, the time traveler from a similarly gifted family that passes the gene through its male line, and whose presence becomes, in time, less insufferable and more essential. Together, Gwyneth and Gideon journey through time to discover who, in the 18th century and in contemporary London, they can trust. 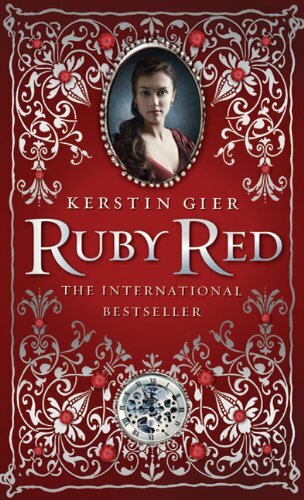 Do you want to read Ruby Red? Saturday will be the third state soccer championship in a row for Jake Martin. Three. A good number. Prime. With Jake on the field, Carson City High can’t lose, because Jake has the magic: a self-created protection generated by his obsession with prime numbers. It’s the magic that has every top soccer university recruiting Jake, the magic that keeps his family safe, and the magic that suppresses his anxiety attacks. But the magic is Jake’s prison, because getting it means his compulsions take over nearly every aspect of his life. Jake’s convinced the magic will be permanent after Saturday, the perfect day, when every prime has converged. Once the game is over, he won’t have to rely on his sister, Kasey, to concoct excuses for his odd rituals. His dad will stop treating him like he is some freak. Maybe he’ll even make a friend other than Luc. What if the numbers never go away? 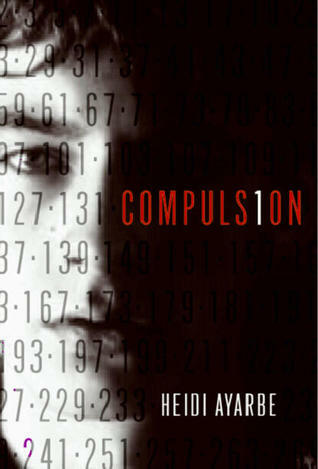 Do you want to read Compulsion? 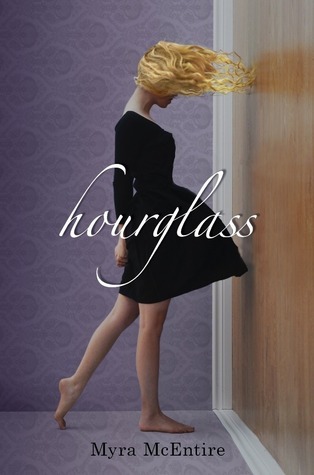 Do you want to read Hourglass? Do you want to read The Goddess Test? 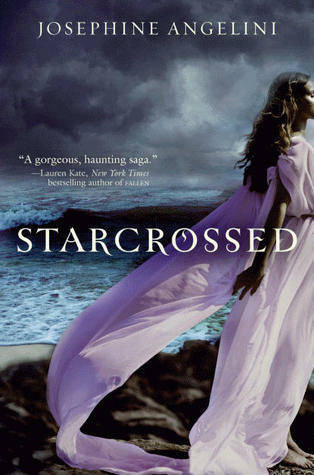 Do you want to read Starcrossed? Willow knows she’s different from other girls, and not just because she loves tinkering with cars. Willow has a gift. She can look into the future and know people’s dreams and hopes, their sorrows and regrets, just by touching them. She has no idea where this power comes from. But the assassin, Alex, does. Gorgeous, mysterious Alex knows more about Willow than Willow herself. He knows that her powers link to dark and dangerous forces, and that he’s one of the few humans left who can fight them. When Alex finds himself falling in love with his sworn enemy, he discovers that nothing is as it seems, least of all good and evil. 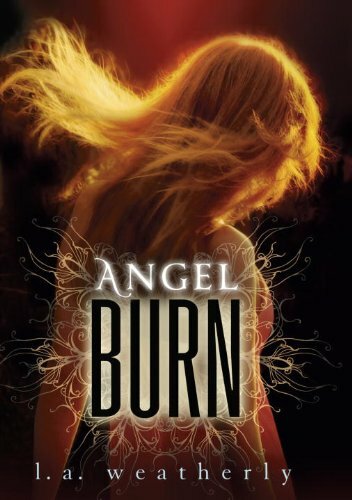 Do you want to read Angel Burn? Okay, I have to say I just found out about this blog and when I saw the Shannon Hale quote at the top, I was completely sold!! Shannon Hale is like my favorite author ever and I'm so excited to see someone that bases their blog name after her! Just thought I'd tell you! !